Traditionally an American condiment, the perfect relish needs the right mix of spices and blends to deliver exceptional taste and nutritional value. Global Green Company specializes in making high quality relishes, and is by far the largest producer of the product in India. At our Venkatapur facility in India, we have a dedicated line processing more than 5,000 metric tonnes of relish each year. Our relish is grander than the rest, as the gherkins used for processing are grown specifically for relish production, owing to which they are crunchier with discernible vegetable pieces that deliver rich and nutritious taste. 230 ML (8 oz); 300 ML (10 oz); 340 ML (12 oz) PET; 370 ML (12.5 oz); 500 ML (17 oz); 720 ML (24 oz); 780 ML (27 oz); 1000 ML (32 oz); 1400 ML (46 oz); 2000 ML (64 oz); 4000 ML (128 oz) PET. 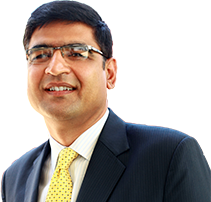 Sanjeev Chadha has a wide range of experience in various industries with different roles all across the world. He has been leading and continues to lead Jg Containers (Malaysia) Sdn Bhd, a glass manufacturing company in Klang, Selangor for more than 15 years. He led his team to revive the company and succeeded in achieving four folds revenue increase over the last 10 years. He is also the Joint Chief Executive Officer of Sabah Forest Industries Ltd (SFI) where he leads the Integrated Timber business. Before joining Jg Containers in 1998, he was the General Manager – Finance with Ballarpur Industries Limited (BILT) – a Flagship Company of Avantha Group. He worked with the group for more than 10 years in two stints in various functional areas including Personnel and Administration, Business Planning, Secretarial and Corporate Finance function in India. He headed Corporate Finance for the Thapar Dupont project set up in collaboration with Dupont. He has also worked as Senior Financial Analyst with Wells Fargo Bank in the US. Sanjeev graduated with an MBA from Krannert Graduate School of Management, Purdue University, United States. He also holds a Master Degree in Personnel Management and Industrial Relations from Punjab University, India. He is an associate member of the Institute of Company Secretaries of India and a graduate of the Institute of Cost and Works Accountants of India. 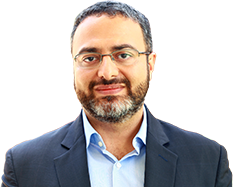 Davinder leads Global Green Company’s finance function worldwide. He is responsible for providing core services that lead to accurate business information so that the company can make more effective and efficient business decisions. His contributions have been crucial to the management and control of financial risks and the development of financial policy and strategies to optimize business profitability and performance. Davinder joined as the CFO of Global Green Company in November 2014. Previously, he worked at Religare Capital Markets (RCM) as CFO of Capital Markets - UK, and later, as CFO of the Securities and Wealth Management vertical. During this tenure, Davinder was responsible for financial & regulatory reporting, tax compliance, securities and wealth management, as well as treasury and insurance management of the group, which consists of various regulated entities in India, UK, USA, Hong Kong, Singapore, South Africa and other subsidiaries and special purpose vehicles engaged in capital markets. His work consisted of ensuring that financial policies, procedures and internal controls were adequate and effective for the nature and complexity of the business. Prior to RCM, Davinder was CFO of Aermid Healthcare Group, UK. Before this, he was with the Veetee Group, UK, a leading producer of packaged and ready-to-eat rice & pasta, where he was the Financial Controller. Some of Veetee’s customers are the same chains Global Green Company deals with today – Waitrose, Sainsbury’s, Morrisons and Tesco. Prior to this, Davinder spent 6 years with Pepsi Foods, India as a Commercial Manager. His responsibilities included the monthly and annual management of accounts, monthly tracking of the budget process, CAPEX tracking and reporting, product costing and controls for overruns, and leading reviews of various supply chain KPIs with multifunction teams. He was also involved with the implementation of SAP at Pepsi Foods. 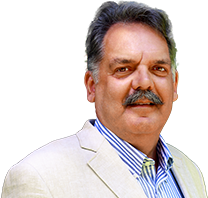 Davinder is a qualified chartered accountant and has a Bachelor’s in Commerce from Punjab University. Ashutosh began his career in 1996 when he joined VST Natural Products (VST), Hyderabad. He was responsible for developing business and leading the execution of the acidified foods segment through production, agriculture and supply chain management. During this time, he developed new customer bases in the Philippines for Unilever and in Korea for Heinz. In 1999, VST was acquired by Global Green Company and Ashutosh moved from Hyderabad to Bangalore, assuming responsibility over sales in North America, Asia-Pacific and India. With over 15 years of experience, he has played a pivotal role in building the North American business. His contributions include setting up a subsidiary in New Jersey, USA and introducing jalapeno as a new crop in India for international markets. Ashutosh has also taken on the additional responsibility of heading the India manufacturing operations for two years and has taken over the leadership of Global Green Company’s Europe sales since February 2014. Ashutosh has a Master's in International Business from the Indian Institute of Foreign Trade, New Delhi and a Bachelor's in Business Studies from The College of Business Studies, Delhi University. Ravi’s started his career was with ITC and Gujarat State Fertilizers. In 1997 he joined VST Natural Products (VST) as a Business Manager, handling the pickle and spice business for North America, including key accounts such as Dean Pickles, USA and Bick’s, Canada. In 1999, VST was acquired by Global Green Company and Ravi moved from Hyderabad to Bangalore, assuming responsibility for sales in Europe and Russia, where he helped the company achieve significant growth. Ravi left Global Green Company to join Reliance Retail in 2006. At Reliance Retail, he had end-to-end responsibility over imported produce for store formats – Reliance Fresh, Reliance Super and Reliance Hyper. He was responsible for developing direct sourcing, international logistics, cold chain, distribution and display & promotion. Ravi rejoined Global Green Company as Country Manager, Belgium, in 2008 and returned to India to assume the role of Vice President – Sales (India, Russia & Middle East) in 2011. Ravi has a Bachelor’s in Agriculture from BA College of Agriculture, Anand Campus, Gujarat University. Balázs has a wide range of experience in FMCG, including brand and private label sales, managing retail and food service activities in Europe. Balázs joined the Global Green Company in October 2015 and is responsible for the company's sales activities in Europe and Russia, including the Customer Service department at Dunakiliti. Balázs began his career in 1993 with Reemtsma Tobacco, one of Europe's largest tobacco manufacturers, now a part of Imperial Tobacco. In 1995 he joined Bonduelle Hungary, starting as a Regional Key Account Manager, responsible for all sales, distribution and merchandising for the Bonduelle brand with his customers. Then he was promoted to National Sales Manager, responsible for all sales in Hungary of both the Bonduellebrand as well as private label products. From 2004 his new position was Commercial and Marketing Director for Hungary and Slovenia, overseeing all commercial activities in these two countries. He was responsible for two technologies (canned and frozen vegetables) and three sales channels (branded retail, private label retail and branded food service). Since 2013 he acted as the Commercial Director for Hungary & Slovenia and the Food Service Coordinator for Central Europe. He holds a degree in Economics from the College of Commerce, Budapest. Balázs brings more than two decades of highly relevant experience to the Global Green Company. 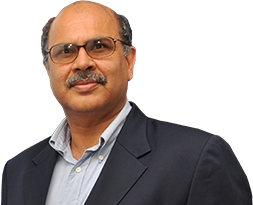 Sreenivasu leads Global Green Company’s quality and food safety functions worldwide. He is responsible for the design, establishment and facilitation of right-first-time quality protocols at all levels of the food chain, with the goal of consistently delivering top quality and safe products to customers. Sreenivasu also supports all product development and is responsible for ensuring that products and processes meet the food regulatory standards stipulated by all destination countries. Sreenivasu began his career as a microbiologist at Sampre Nutrition. He then moved on to the seafood industry, where he worked in quality control for processed crab meat. Next he spent two years handling quality and food safety for dehydrated vegetables. Immediately prior to Global Green Company, Sreenivasu worked at the Hyderabad operations of Cadbury. At Global Green Company, Sreenivasu has worked closely with several of the regulatory bodies in countries such as Canada, USA & South Korea. He has led teams at different locations to succeed in US FDA inspections and other third party audits. Sreenivasu is a Postgraduate in Biotechnology and has a Graduate Degree in Food Microbiology from Nagarjuna University, Andhra Pradesh. J.S. leads Global Green Company's both the business units in India, where he is responsible for sourcing all raw materials and factory operations. J.S. started his carrier in 1991 as a management trainee with ITC AgroTech. He joined VST Natural products (VST) in 1998, a year before it was acquired by Global Green Company. J.S. has been in charge of the Venkatapur factory operations since September 2011. In April 2014, he was promoted to head the Venkatapur Business Unit, including responsibility over the sourcing of all raw materials. In Feb 2016, he was promoted to head the Oblapura Business Unit as well. J.S. has played a key role in consolidating Global Green Company's two Bangalore factories into the current Oblapura facility. His key achievements in the Venkatapur factory include improving the production capacity of the jar line, improving the relish bulk production capacity and installation of the tomato sauce line. Ganesh has been leading the Oblapura business unit since August 2014 and is responsible for the sourcing of all raw materials and factory operations. 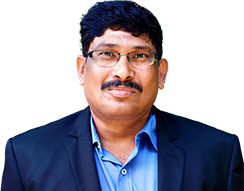 Ganesh began his career in 2000 with Indian Refrigerators (part of the Videocon Group), where he worked in the production function. He then moved to Essilor India, a French ophthalmic lens manufacturing company, where he was responsible for planning. He joined Global Green Company in the commercial function as a core part of the team that set up the greenfield factory in Oblapura, Bangalore, in 2004. Subsequently, he handled important project based roles in process improvements and MIS. In 2006, Ganesh left Global Green Company and joined Accenture, where he worked for two years as a Senior Retail Consultant. Implementing SAP at Dabur (H&B Stores) was his major accomplishment at Accenture. In 2008, Ganesh re-joined Global Green Company as Senior Manager – Planning & MIS. 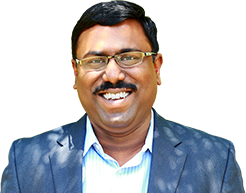 During his tenure at Global Green Company, Ganesh has spearheaded the global SAP implementation project and has also been instrumental in institutionalizing Sales & Operations Planning at the global level. He has been involved with several strategic projects across the company, which has given him the opportunity to work closely with different operating areas. Ganesh is an Industrial and Production Engineer with a Degree from Kuvempu University. Balázs is responsible for Global Green Company’s operations within Europe, including manufacturing, supply chain, procurement, warehousing and S&OP. Balázs commenced his career with Crocky Chips – United Biscuits, Hungary, where he worked for 9 years, starting as a Trainee and rising to the position of Factory Manager. Thereafter, he moved to Pepsico Snacks (Frito Lay), Hungary as Production Director of greenfield investments. His key responsibilities included hiring new workforce, statutory requirements for a new setup, financial control of the factory, production and purchase. His next career move was to Reckitt Benckiser as Production Director of their factory at Tatabanya, Hungary. Here, he was responsible for new investments that included setting up of a brownfield site, planning and production. Following this Balázs worked as Production Director with Friesland Hungaria and was responsible for production in 7 plants with a total staff of 2000 employees. His next two assignments were with Brau Union (Heineken) as a Brewery Manager and as a Plant Manager for Vandamne Hungaria, where he helped set up a plant for the manufacture of corn germ vegetable oil. Balázs has a Degree in Technical Studies (Food and Chemical Industries) from the Technical University, Budapest and a Diploma in Marketing Studies. 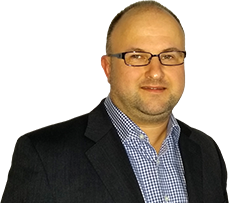 Attila joined Global Green Company in June 2014 and heads the agricultural sourcing function in Europe from the Puszta factory in Eastern Hungary. He is responsible for directing and controlling all agricultural operations in Europe, procurement of quality raw materials for European plants, setting pricing, arranging logistics and controlling costs to drive margins. He is also responsible for formulating Global Green Company’s agricultural strategy in Europe and ensuring that raw material plans properly support the long-term growth of the business. Attila began his career as a practitioner on a cooperative farm in Tiszacsege, Hungary. In 1986, as an exchange student in the USA, he also trained in farming for one year. In 1987 he joined the Debrecen Canning Factory (Deko) as a Purchasing Supervisor, responsible for procurement of fruits & vegetables, providing technical training to farmers on plant technology and planning & managing fresh exports. He also coordinated and managed raw materials in a joint venture with a Japanese company to produce apple juice concentrate. After spending 9 years at Deko, he moved on to work as Purchase Executive at Topa-Konzerv Kft, where he was responsible for integrating the production of green peas and sweet corn, and for procuring raw materials such as sour cherries, gooseberry, apricot, plum and gherkins for the canning factory of Kokad. In 2003, he joined the Land Registry Office at Debrecen and reached the level of Chief Advisor. The nature of his job allowed him to travel to various farms and stay actively involved with farmers and integrators. 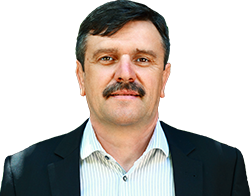 Attila has a Bachelor’s Degree in Crop Production Engineering from the Agricultural University of Debrecen and a Degree in Plant Protection from Janos Balashazy Agricultural Secondary School. 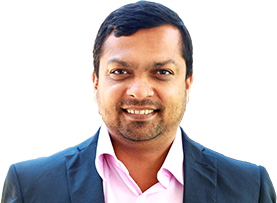 Krishnan has been with Global Green Company since February 2013. He is responsible for S&OP, special projects and critical financial analysis globally that enables the company to focus resources on the most important products and on driving efficiencies through the system. Krishnan joined Global Green Company with 12 years of varied experience in the food processing industry. 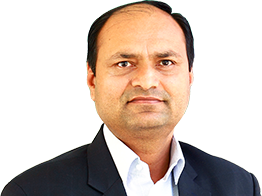 He began his career with Monsanto India, as a Plant Executive in November 2001 and moved up the ladder to the position of Plant Manager of its Chemical Division in Silvassa by January 2010. During this period he had been involved in various strategic process enhancement projects and spearheaded key installations and commissioned a variety of projects. He was rated as a high performing employee and was the recipient of the Global Manufacturing Excellence award, which was awarded by the St. Louis, USA management team. Before joining Global Green Company, he worked as General Manager – Plant Operations at Pepsico India’s Chennai plant. Krishnan has a BE in Electrical & Electronics engineering from the Karnataka University and is pursuing an MBA (Operations) from Indira Gandhi National Open University. 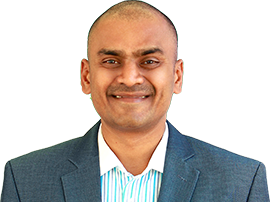 In addition Krishnan is a certified Six Sigma Green Belt, Lead Auditor for OSHAS 18001 and Certified Internal Auditor for ISO 9001 – 2000 & EMS 14001 Systems. Ananya joined Global Green Company in December 2012 and is responsible for legal and company secretarial matters globally. She also heads all compliance processes. 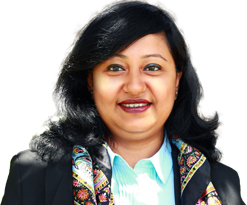 Ananya began her career as a management trainee with BOC, India in 1996, and thereafter moved to Peerless Securities India, as Company Secretary. She then worked with Karvy Securities, Samsan International, Ma Foi Management Consultants and Fanuc India in secretarial and legal roles. Prior to joining Global Green Company, she worked as Company Secretary for Amba Research. She is qualified as an Associate Company Secretary (ACS) and an LLB from Karnataka University.